It’s official: Dave Grohl really is the coolest guy in rock. 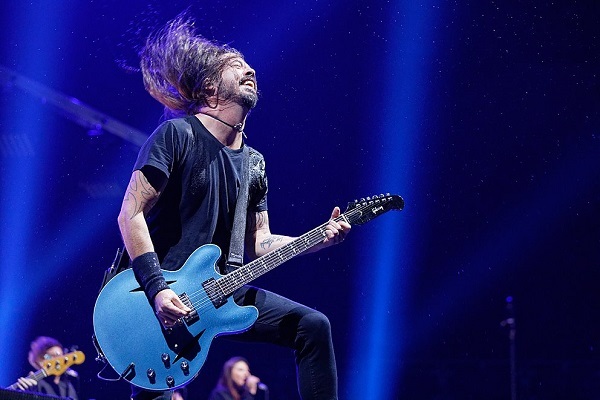 On Monday (Nov. 12), the Foo Fighters frontman went to Los Angeles County Fire Station 68 to visit the firefighters working to put out the horrific California wildfires. In typical Grohl fashion, he didn’t just stop by and say hello. While he was visiting, Grohl also cooked some flavorful barbecue for the crew. The massive California wildfires have displaced some rock stars, including Flea from the Red Hot Chili Peppers. Flea wrote on Instagram that he was safely in Los Angeles, and that his neighbor Eric helped save his house.